Calgary, Alta. 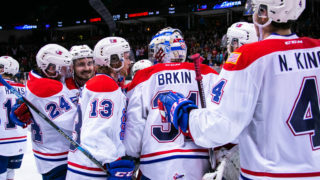 – The Western Hockey League announced today that Riley Woods of the Spokane Chiefs has been named the WHL On the Run Player of the Week for the week ending November 11, 2018. 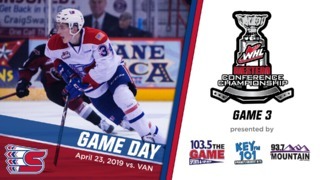 Woods recorded six points (3G-3A) and a plus-three rating over two games as the Chiefs split their weekend trip to Vancouver Island against the Victoria Royals. In Friday’s high-scoring 7-5 decision in favor of the Royals, Woods scored twice and added a primary assist. He scored his team’s first two goals at even strength, then added his assist on Spokane’s fourth goal of the game, also at even strength. Woods was named second star of the game for his performance. 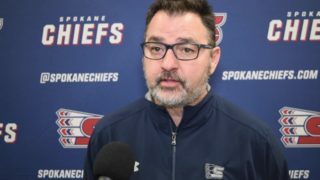 A day later, the Chiefs returned the favor with a 7-2 victory as Woods again collected three points, scoring once and adding a pair of assists. 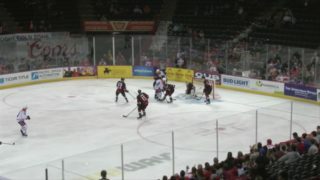 Woods once again opened the scoring for the Chiefs before picking up an assist on their third and seventh goals of the game. Overall, Woods recorded five of his points at even strength this week with a single short-handed assist. The performances were his ninth and 10th multi-point games of the season, and third and fourth of three points or more. Friday’s multi-goal performance was his fourth of the season. The strong weekend is just a small part of what has been a strong start to the 2018-19 WHL Regular Season for the 20-year-old forward from Regina, Sask. 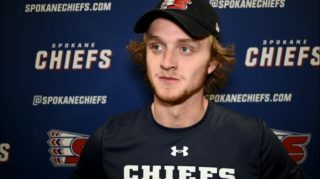 With 29 points (15G-14A), including five power-play goals and one game-winning goal in 19 games, Woods leads the Chiefs in scoring while placing himself in a tie for eighth in league scoring. His 15 goals have him tied for fourth in the league. The 5-foot-10, 180-pound forward made his WHL debut with the Regina Pats on September 26, 2015. Overall, Woods has appeared in 184 WHL regular season games, posting 134 points (61G-73A), including 17 power-play goals, two short-handed goals, and seven game-winning goals. 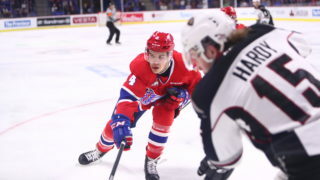 Woods has also added seven points (2G-5A) in 16 career WHL playoff games with the Pats and Chiefs. He was acquired by the Chiefs in a trade with Regina in January 2017.